There are many hazards for bicyclists on Arizona streets and roads, including careless drivers, road hazards caused by improper maintenance, and even other bicyclists. There are also many potential sources of insurance coverage in a bicycleinjury, including homeowner’s insurance and your uninsured/underinsured motorist coverage. We know the Arizona bicycling laws and we understand the mechanics of bicycle collisions. 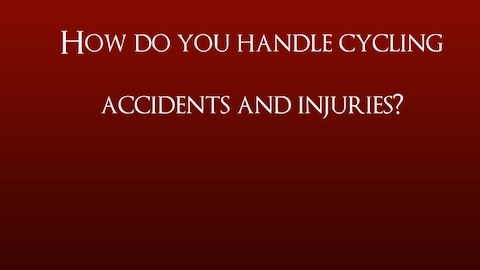 Often there is a question of whether the bicycle injury victim contributed to the cause of the wreck. In Arizona, pure comparative negligence is the rule. This means that even if the cyclist did something wrong, he or she may still be able to recover damages in a personal injury claim or lawsuit. Single bike accidents are often caused by phantom vehicles (vehicles that cause the crash but have no contact with the rider and drive off and/or flee the scene before they can be identified.) Other causes include hazardous road conditions, and other dangers posed to bicyclists. Construction zones also present dangerous situations for bicyclists. Lanes are often not clearly marked, road signs prevent obstacles, and holes in the road and changing road grades pose serious problems to bicyclists. If you were involved in a single bike accident in a construction zone, you could be facing severe injuries. We pursue compensation for people who were injured in single bike collisions. These collisions require representation from a skilled attorney. There may have been no witnesses or no physical proof other than your injuries to show the negligence of another person or entity. We effectively establish the credibility of our injured clients and vigorously pursue compensation. If you were involved in a single bike/phantom crash, or to discuss your bicycle injury case in a free consultation with an experienced Tucson personal injury lawyer who understands cycling, please contact us today. We focus on helping bicycle victims who have suffered serious personal injury due to another’s negligence, such as traumatic brain injury, spinal cord injury, badly broken bones and damaged joints. We help families who have lost a loved one in an auto-bicycle accident recover damages in wrongful death claims or lawsuits. To discuss your rights and legal options in a serious or fatal bicycle injury case, please call our Tucson personal injury law firm at 520-293-5300. You may also contact us by using the Contact Form above for more information or to schedule a free consultation. It’s nice to work with people who care. Goolge 5 Star Review – E.R.